This year on the Columbia River, the return of fall chinook was record-setting. Looking forward, state fisheries officials have forecast another above-average year for fall chinook. 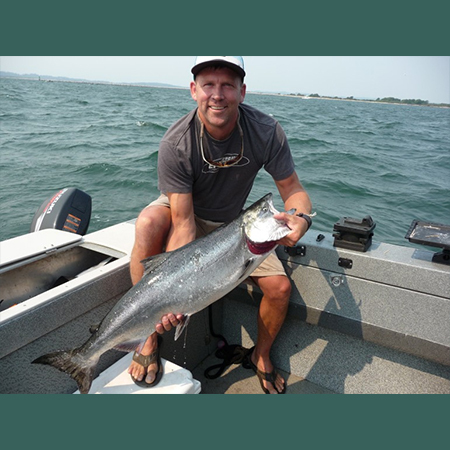 State fisheries officials released today their preliminary outlooks for coho and fall chinook salmon in 2016 in the Columbia River. Bright stocks of fall chinook are anticipated to be above average, which is about 800,000 fish for the past five years. The less-popular tule stocks appear similar to recent returns, which are 194,000 adult chinook. Tule stocks return mostly to lower Columbia River tributaries plus the large Spring Creek National Fish Hatchery in the Columbia River Gorge in eastern Skamania County. While tule stocks return to freshwater in a less-desirable condition than bright chinook, their harvest often determines how long angling can stay open for bright stocks. Most bright fall chinook are headed for hatcheries upstream of Bonneville Dam or spawn naturally in the Hanford Reach, the last free-flowing stretch of the Columbia in Eastern Washington. In 2015, it appears about 1.4 million fall chinook returned, which, if correct, would be a new record, at least since 1962. The return of bright jacks is down in 2015, but tule jacks were above average. Jacks are salmon which return a year earlier than their siblings to spawn and are used to help forecast the upcoming year’s run. Coho returns to the Columbia River in 2015 were far below forecast and jack returns are down too. Officials did mention that poor ocean conditions along Washington and Oregon in 2015 could result in runs not meeting expectations.